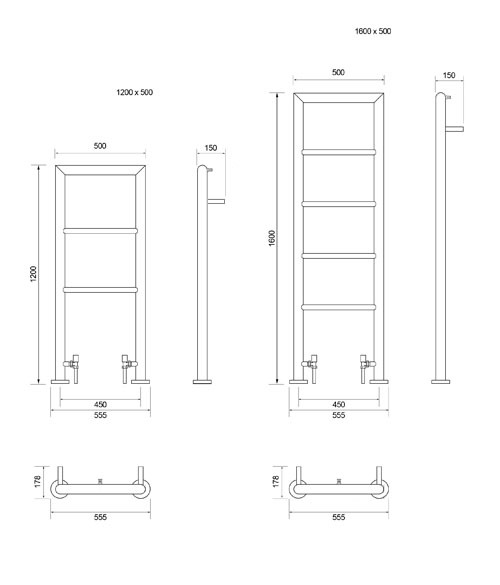 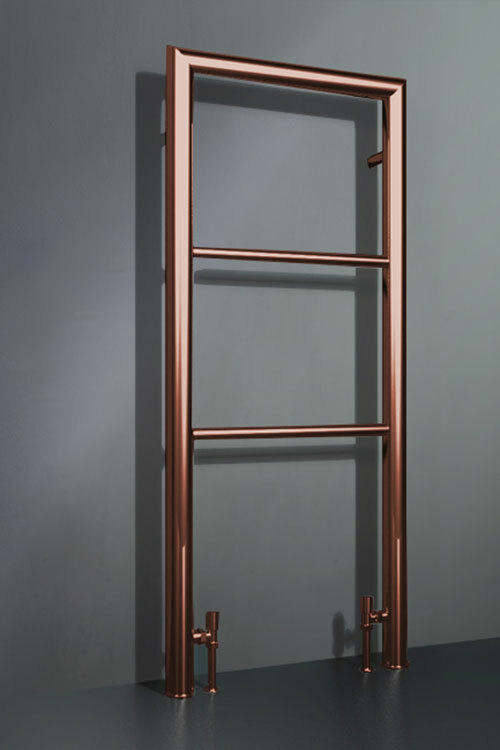 This modern, copper heated towel rail is designed to be floor standing. 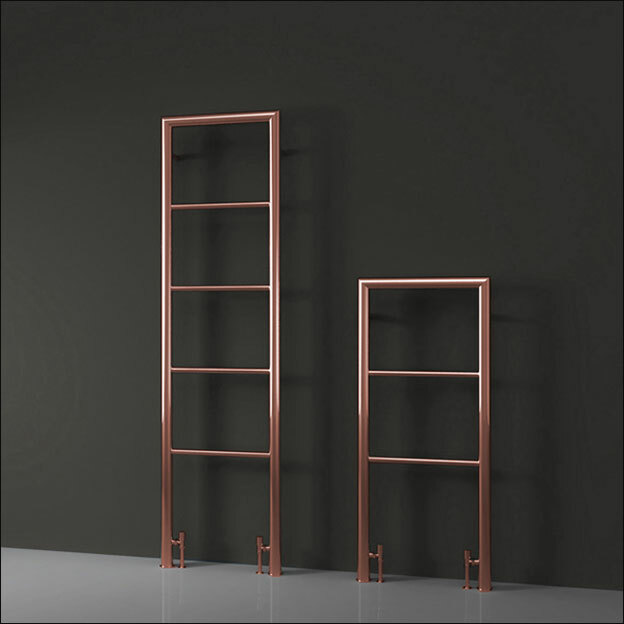 With its mitred joints and thick outer tubes, this copper radiator has a stylish look for contemporary bathroom designs. 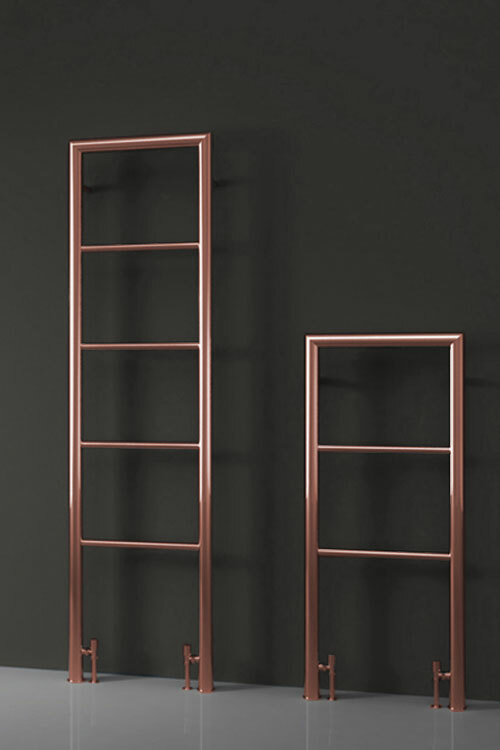 The Milli Copper Towel Rail is available in two standard sizes, with bespoke options available on request. 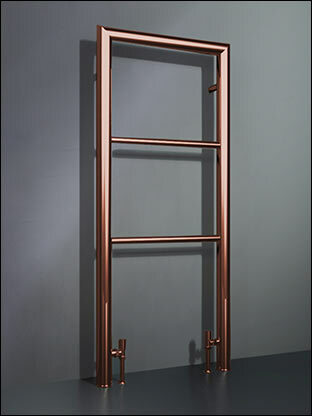 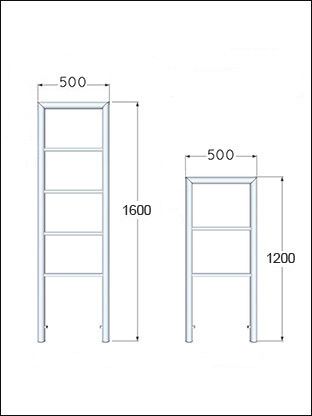 All copper radiators are made to special order.